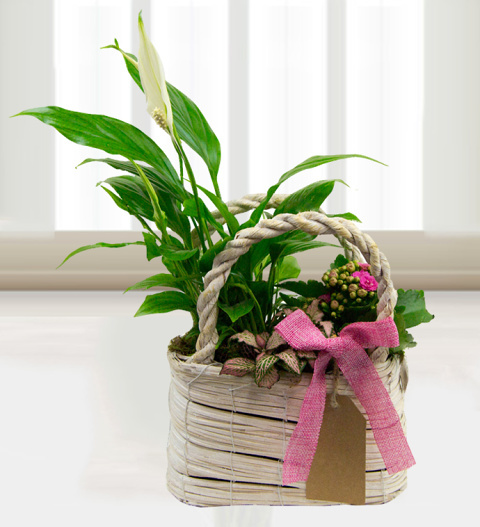 A beautifully arranged flower basket with fragrant peace lily, kalanchoe and coleus presented with a pink bow and gift tag. The basket is beautifully gift wrapped with a FREE box of lovely Belgian chocolates! A gift perfect for Mum this Mother's Day from Prestige Flowers. Chocolates may contain nuts.